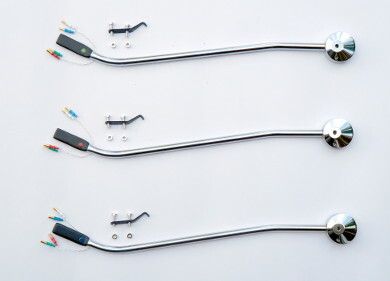 All MØRCH armtubes can be used interchangeably with all MØRCH arm bases. To find the optimal armtube for a specific cartridge, see below. 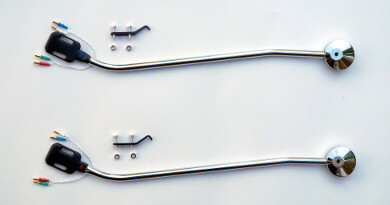 The MØRCH armtubes are shown here in CHROME finish. The 12" and PRECISION 9" armtubes are also available in GOLD. The NARROW/green 9" armtube is only available on special order. A list of recommended armtubes for use with various cartridges is available. Alternatively, use this form to find the recommended MØRCH armtube for use with a cartridge for which the weight and compliance is known. The recommended NARROW 9" armtube is shown. If two armtubes are almost equally good, then both will be shown. PRECISION 9"/red and 12"/red can be used where the recommendation is “red” or “green”. PRECISION 9"/blue and 12"/blue can be used where the recommendation is “blue”.